Malian singer Abdoulaye Diabate joins The Paul Winter Consort with Paul McCandless, the Drummers of The Fores of Nature, and Gospel vocalist Theresa Thomason. Stories from the NPR archives that touch on the meaning of Christmas. David Sedaris, Bailey White, John Henry Faulk -- these and other NPR voices, past and present, tell stories of the season. 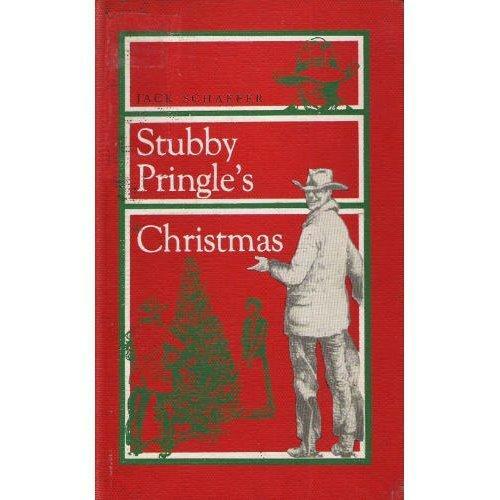 8:30 p.m. A Christmas Carol - Walt Dunlop’s full reading of this Dicken's holiday classic, from the MTPR archive. The 30-voice King's College Choir performs the legendary Festival of Nine Lessons and Carols service of Biblical readings and music. Stile Antico, the award-winning choir from London presents a concert of radiant sacred music for the Christmas season by the most acclaimed composers of the renaissance - Thomas Tallis and William Byrd. An hour of joyful holiday music featuring the Minneapolis-based chorus, VocalEssence, features old favorites, and some new discoveries including the world premieres of two new American carols. This program by the 12-voice San Francisco-based men's choir spans the globe and the centuries -- from England in the 1300's to new arrangements of classic contemporary carols. 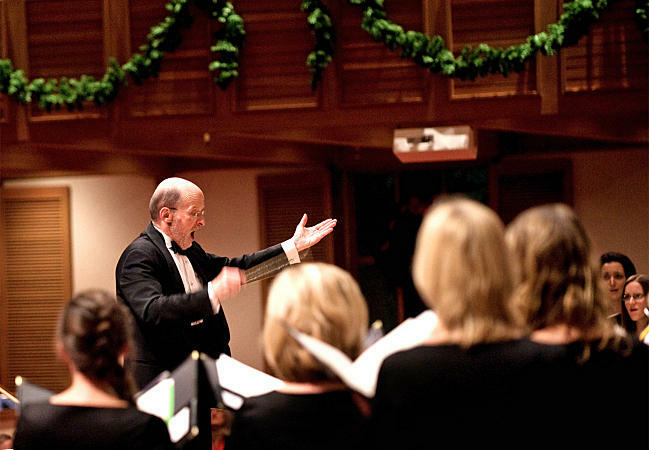 The world-renowned choir performs a stunning holiday concert exploring themes of love, redemption, and the Nativity. With its resounding “Hallelujah” chorus, the Christmas portion of Handel’s masterpiece is a holiday tradition. Michael McCarthy directs the Baroque–period orchestra and the Cathedral’s combined boy, girl, and men’s choirs, with guest soloists Gillian Keith, soprano; Julia Mintzer, mezzo-soprano; Rufus Müller, tenor; and Nathan Berg, bass. A celebration of the 100th anniversary of Britten’s birth of through his beloved choral music for the holidays. From the glorious cathedral chant, Veni Emmanuel, to Bach’s Christmas Oratorio, this program offers some of the most splendid Christmas music ever to come from northern Europe. Two renowned musical institutions band together in this Early-Music tour de force: the Choir of Christ Church Cathedral Indianapolis; and the Early Music Institute of the Jacobs School of Music, Indiana University. Humor, warmth, and a host of festive voices continues the tradition of NPR’s Tinsel Tales, with this second collection of the best and most requested holiday stories. Joy, hope, and childhood memories overflow as NPR voices, past and present, tell stories of the season. A celebration of the season with top flight, traditional singers and instrumentalists, including Solas, Steve Holloway and Maeve Gilchrist. A service in song and word that has become one of the nation's most cherished holiday celebrations. 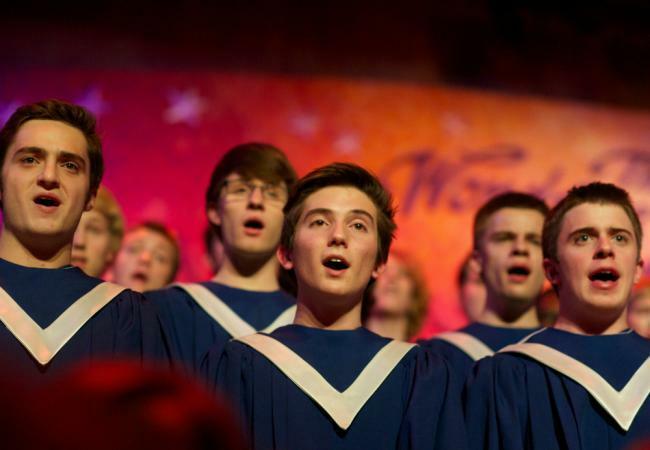 The festival includes hymns, carols, choral works, as well as orchestral selections celebrating the Nativity and featuring more than 500 student musicians in five choirs and the St. Olaf Orchestra. 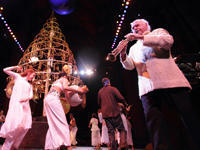 NPR Music brings you another great concert from the John F. Kennedy Center for the Performing Arts. Andy Bey, Stanley Cowell, Sullivan Fortner and Michele Rosewoman perform their favorite holiday songs. Hosted by acclaimed storyteller Madafo Lloyd Wilson, this annual special captures the tales and traditions of African American and African peoples. This year’s program will celebrate Family with familiar and favorite elements of Griot, and plenty of music. The clock ticks; the moon waxes; the autumn leaves turn crimson. Time is as ubiquitous as it is elusive. Guided by science and science fiction, All In Time traverses the timeless mystery of time itself. An award-winning work of sound art by Sarah Boothroyd. Get ready to pop the New Year's Day champagne! 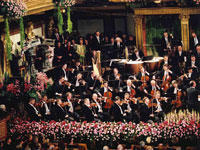 The Vienna Philharmonic presents its annual salute to the waltz with conductor Daniel Barenboim. Hear the hit tunes of the Strauss family and others -- polkas, gallops and waltzes, live from the Musikverein, in Vienna. 11:00 a.m. Freeforms with Howard Kingston – New music for the new year. Champagne, Concertos…and Coffee! Martin Pearlman leads Boston Baroque, a “period-instrument” orchestra in a festive All-Bach New Year’s Day concert live from Sanders Theatre in Harvard Square. Featuring the Brandenburg Concertos No. 3 & No. 4 and the Coffee and Wedding Cantatas.